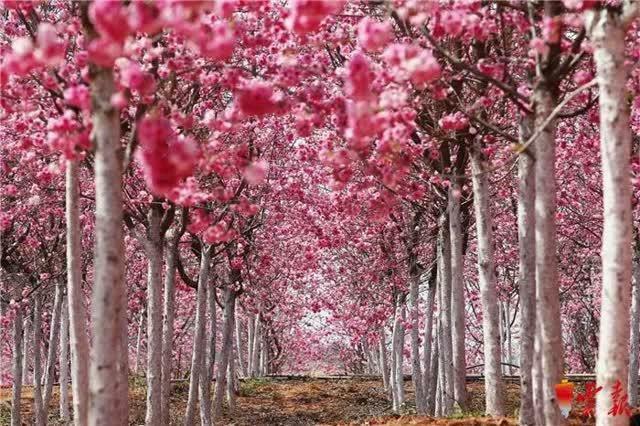 Starting from 2005, Cheng Weichun has been planting cherry trees in his village under the jurisdiction of Yiliang County in SW China’s Yunnan Province. 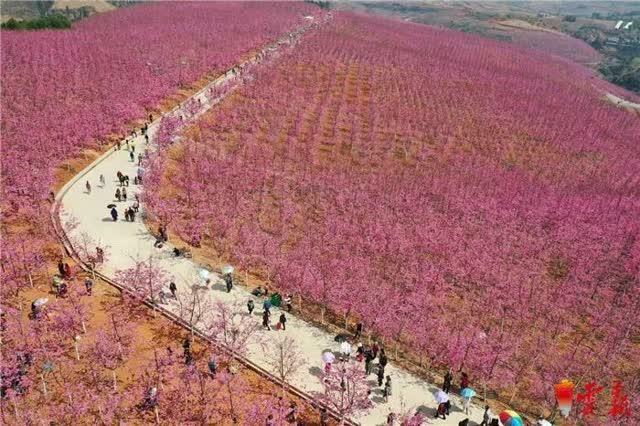 For 14 years, he has turned the barren land into a valley of cherry blossoms through hard work. Now, the valley receives 200,000 tourists each year. When Cheng was a little boy, he once visited the Yuantong Zoo in the downtown area of Kunming, capital of Yunnan where he was so impressed with the blooming cheery flowers. Since then, he has kept thinking of planting cherry trees on the barren mountains in his village. When he grew up, Cheng became a truck driver. 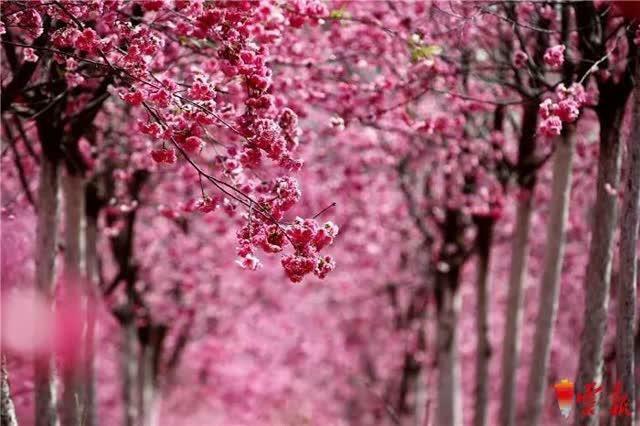 Because of his job, he traveled to many other provinces where he learned from his friends that cherry blossoms in Yunnan were very popular among tourists. After making investigation in his village, he made up his mind to plant cherry trees. “I bought a lot of books and studied planting techniques for a long time. I also stayed in the mountain to look after the growing saplings. It was lonely, but I determined to hold on to the end when I started,” Cheng said. His natives were confused about what he did. However, the next year, Cheng shocks them with an income of more than 300,000 yuan ($ 44,680) by selling saplings. As of now, Cheng has planted 3,800 mu (253 hectares) of cheery trees. He has turned the barren land into a valley of cherry blossoms. I never thought his village could draw more visitors than a scenic area, said Cheng. He will plant more cheery trees, developing the valley into a renowned place across the country.